Why the European Ryder Cup Teams always manage to kick our butts! There is no doubt in anyone’s mind that the European Ryder Cup teams have always managed to play better than the Americans. If you can read that sentence and think no we American’s play better, then you are in denial. But why do the Europeans continually beat the US with less talent and on our home turf? I can see getting our butts kicked overseas, but in our own back yards? The US has only won 1 of the last five (2008 was our last winner) and only 2 of the last 8 (going back all the way to 99 for another US winner). I think those stats are pretty astounding…in the last 8 Ryder Cups the US has only two victories, and one of those Victories was at the Country Club in Brookline, Mass where we came back from behind to pull off the ultimate underdog win in the singles matches. Is the European Team a better group of golfers? Are they higher ranked in the world rankings? Are they better coached? These questions are a really very hard to answer and my answers are mostly speculation (being that I have never played on a Ryder Cup team). The European teams have two things going for them, one they have a great passion for the Ryder Cup, and they have had better role models. Hands down the European team wants to win more than the US and they are passionate about this event. The Europeans are closer teams, pulling for one another and supporting their captains vehemently. The United States teams have been statistically better teams (higher world rankings) but the American’s always fall short when it comes to the team aspect. For example, lets look at who we think of when we think of the Ryder Cup…Seve Ballasteros, Collen Montgomery , Nick Faldo, Jackie Burke, Berhnheart Langer, Jose Marie Olzabal, Sergio Garcia. Anyone see any common thread in those names? They are all on European Ryder Cup teams. Sure we remember when Justin Lenoard made that incredible putt on the 17th at the Country Club to secure the Ryder Cup for the US, but really we don’t think of the Ryder Cup when we look at Justin Lenard. When you think of Seve, the Ryder Cup is mentioned. When you think of Sergio, you think of the Ryder Cup. When you think of Collen Montgomery, you think Ryder Cup. Name one American that is known for his heroics, and support of the Ryder Cup???? Can’t do it can you. The passion from these European men for their country and their team is the sole reason why the United States has consistently been beaten by the Europeans. We have won our Ryder Cups with sheer talent, but we squeaked them out. The Europeans have won with heart. The Europeans not only have more passion for the Ryder Cup, but their team leaders (all of the men that I just named) have mentored the rookies and younger team members to be passionate Ryder Cuppers. Look at the Spanish Armada, Jose and Seve. Seve passed on his love for the Ryder Cup to Jose, and now Jose is passing it on to a new group of European Ryder Cuppers. As we look back the veteran Ryder Cup members of team Europe have supported the young. Each and every year the European team is passing the baton from Seve to Jose, from Jose to Sergio. Collen Montgomery passing his Ryder Cup hopes and dreams on to the likes of Luke Donald, and Lee Westwood. Sir Nick Faldo, who has more Ryder Cup records than any other golfer, is the perfect example of the European Ryder Cup passion. Sir Nick has won six major championships on his trophy shelf at home, but he played the Ryder Cup like it was the end all be all of his career. The United States players cannot say the same. We do not have a Seve, or a Sir Nick, or even a Collen. 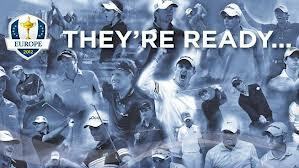 We have US players who have played on many Ryder Cup teams, but none who have been passionate about this event. If the US wants to pull out a W this year at Medinah we are going to have to do it with more than just our talent for the game of golf. The United States Ryder Cup team is one of the best American teams to date. 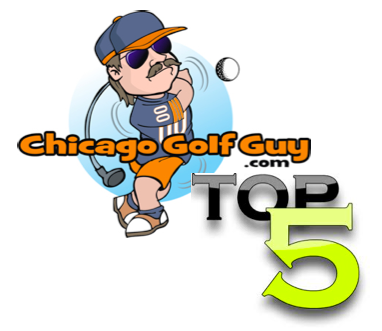 Seven out of Twelve are Major Champions, which includes two major winners from this year, and that doesn’t include this years FedEx Cup Champion. But I think the US’s biggest assets is the closeness of this team. I believe that Davis Love has worked hard for the last two years to instill in these players a sense of camaraderie and companionship that the previous US Teams did not have. Not only has the captain played a huge part in the US Team actually being a team, but the Veterans have stepped up. Players like Tiger Woods and Phil Mickelson, Jim Furyk and Steve Stricker, have really pushed for the younger guys to get involved and play this Ryder Cup as a team and not individuals with the same shirt on. When you see Tiger Woods goofing off during a photo shoot at Medinah on Tuesday with Stricker giving him a chuckle while Tiger then elbows Brandt Snedecker in a did you see that gesture, it makes me think that maybe the Americans are becoming a real team. 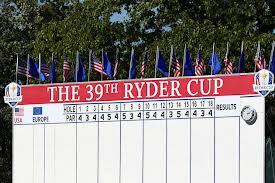 The Americans are the underdog in almost every Ryder Cup match, this year included, but I believe that being in the US this year, and the US team being much closer than it has ever been, we might just have the right formula for a big win at Medinah. Only time will tell, but if the American’s can get off to a good start with the four ball matches, look out team Europe the American’s could go on a roll. 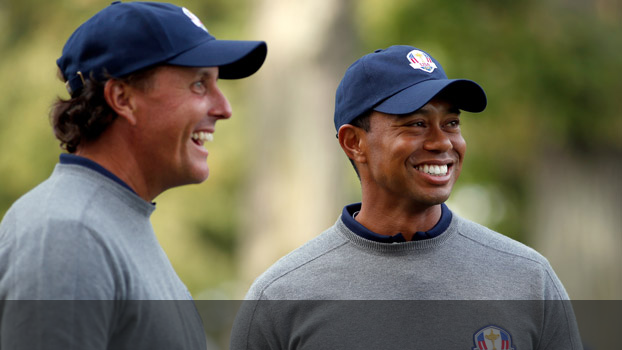 Next Who will be partners at the 2012 Ryder Cup for Team USA?